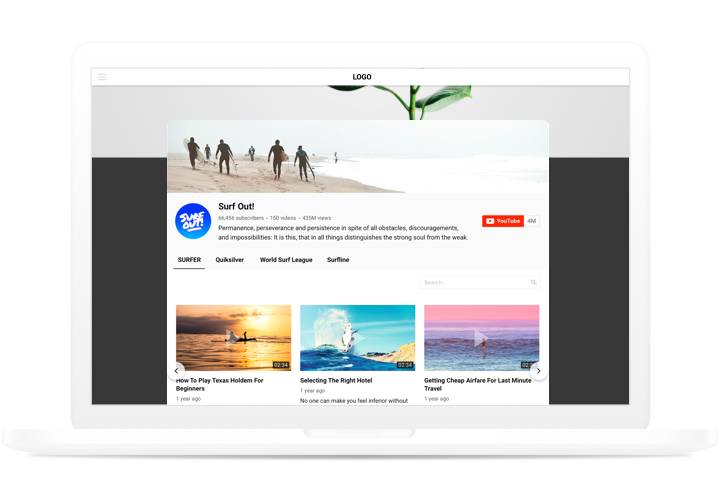 A powerful widget for YouTube, which allows displaying any videos on your website. 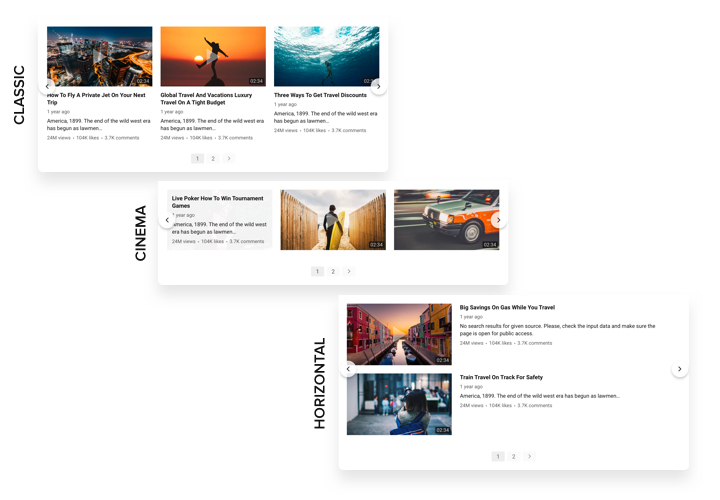 Choose channels or individual videos to make your own playlist or video gallery right on a page of your site. Our widget is absolutely adaptive for all devices and browsers, featuring more than 100 adjustable parameters, flexible layout and more features that allow integrating it into any website.Create a unique interactive video gallery to increase user engagement. Higher website visitor engagement with YouTube videos. Entertain your website visitors with exciting content from YouTube and keep them engaged longer than ever. More leads with promo videos, reviews, tutorials, and testimonials. Show educational videos, reviews and more to give your visitors complete information about your offers and convince them to buy. New YouTube subscribers thanks to seamless sharing from the site. Turn website visitors into YouTube channel subscribers providing a fast and easy way to subscribe right from the site. 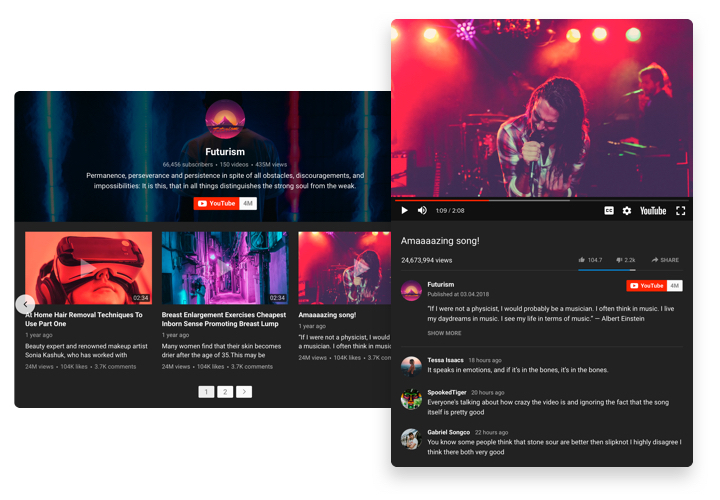 The key advantages of our widget, which turn it into one of the best widgets for displaying YouTube videos on Webflow. 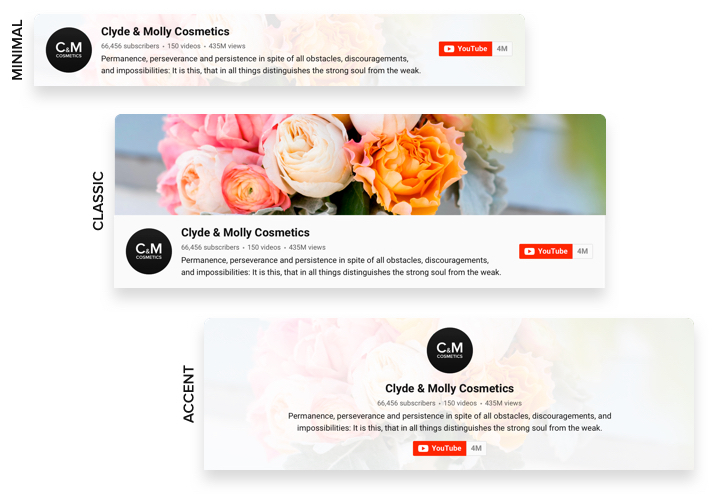 5 types of hover effect. A brief instruction on creating and customizing a widget without having special skills in web development. It will take you just 3 minutes. Generate your custom-made YouTube Video Gallery. With our free demo, a widget with needed layout and options. Receive the code for integrating the widget. After widget tuning, get the code for YouTube widget from the appearing notification on Elfsight Apps. Place the widget on your website. Show the widget to the required place of the page and apply the changes. You fully accomplished the installation. Visit your website, to see your widget. Failed to introduce any customization parameter? 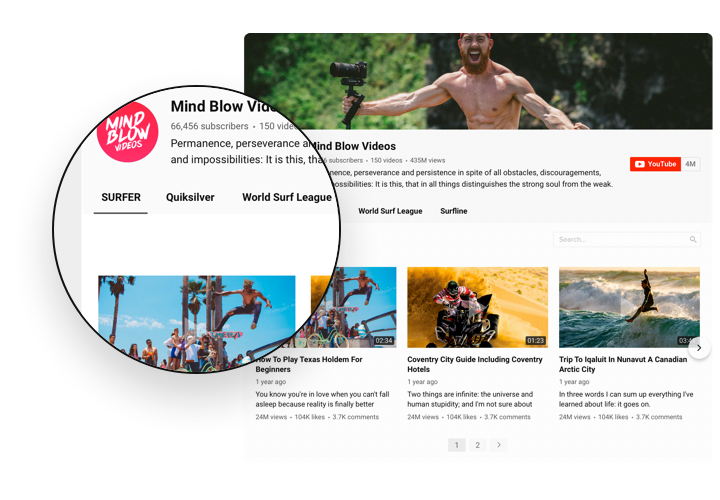 Don’t hesitate to address our support team or study a full guide «How to install YouTube widget on Webflow». Create your personal YouTube Video Gallery in only 2 minutes!